If you want to lead with speed, you will need to do it head first. 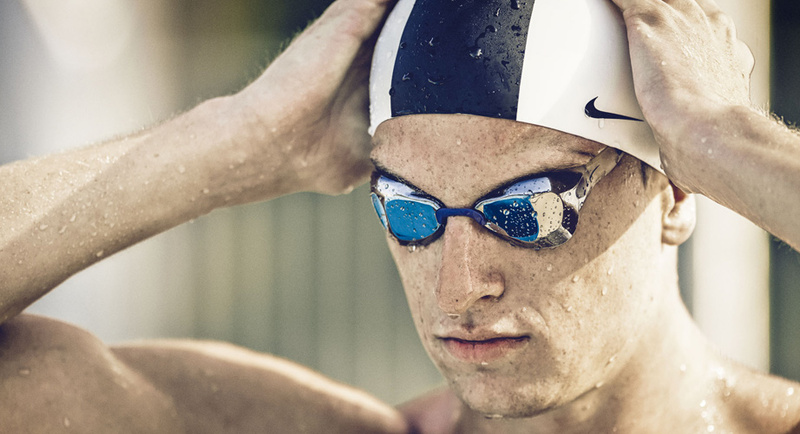 Start with the Nike Swift Elite Cap, the latest in technical racing caps, specifically engineered for the elite swimmer. The cap features stretch-mapped silicone, which allows the cap to form to the shape of the swimmers’ head, even for athletes with long hair. The Nike Swift Elite Cap combines sections of firm silicone with areas of higher stretch, creating a smooth, wrinkle-free surface. This means that your cap will stay put from the moment your feet leave the blocks until your hand hits the touchpad: no more rippling, no more air bubbles. The two sizes, S/M and M/L, further ensure a proper fit for the swimmer. The Nike Swift Elite Cap activates Hydroflow, Nike Swim’s unique drag-reduction technology, which manages the flow of water over the cap. The signature mohawk is crafted with a micro-textured coating designed to reduce surface contact, thereby reducing drag. Dive in headfirst, and the water works with your body, not against it, allowing the swimmer to slice through the water. The cap is available in black, as well as venom green, light lucid green, and laser crimson. The new, slick colors ensure that you will stand out as you swim strokes ahead of the competition.